Home Campaigns, Open Letters and News Alerts Open letter to Belarusian president: Stop detaining peaceful protesters! Open letter to Belarusian president: Stop detaining peaceful protesters! International Partnership for Human Rights (IPHR) has joined over 40 other NGOs in calling on Belarusian President Alexander Lukashenko to put an end to detentions carried out in connection with a wave of peaceful protests against so-called “social parasite” legislation, which provides for sanctions against citizens who have paid income tax for less than six months a year, with certain exceptions such as students, minors and retired people. According to information from human rights organizations, more than 250 people have been detained by law enforcement authorities since the beginning of March 2017, and in some cases detentions have been carried out through the excessive use of force. Among those detained are many journalists. New protests are planned for 25 March 2017. The signatories urge President Lukashenko to ensure that the rights to freedom of peaceful assembly and expression are respected, that the planned upcoming peaceful protests can take place without hindrance and that excessive force is not used against the participants, that journalists are able to freely exercise their professional duties during peaceful demonstrations and that all those who remain in detention after being apprehended during the previous peaceful protests are immediately and unconditionally released. Most of the detentions and harassment are linked to participation in peaceful protests demanding the cancellation of Presidential Decree No. 3, the so-called “social parasite” legislation, which imposes a tax on unemployed people in Belarus. Decree No. 3 obligates citizens to work a specific number of days or pay a special duty to the State under threat of arrest. This is contrary to Art. 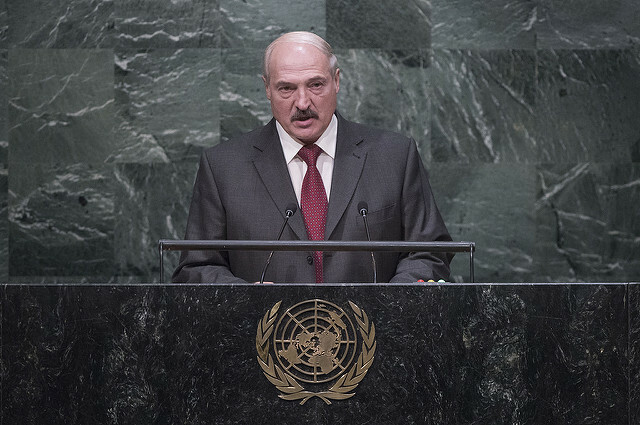 41 of the Belarusian Constitution and violates international human rights law.